Spanish Monastrell, known as Mourvèdre in France, has the same luscious fruit that makes Zinfandel so good with grilled pork, but with a spicy edge that arguably creates an even better match. 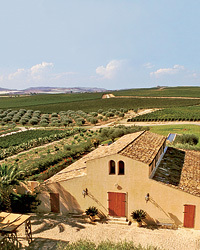 This third-generation, family-owned Spanish producer makes a variety of red wines under different labels. 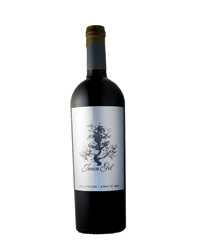 This bottling, full of ripe wild-berry fruit and light smoky notes, is a steal. Winemaker Silvano García Abellán blends Monastrell with small amounts of Tempranillo, Syrah and Merlot for this juicy red. Its flavor recalls black plums and cracked black pepper. Agapito Rico’s 175-acre vineyard, located in a mountain valley in Spain’s Jumilla region, produces powerful, dark Monastrell, as is clear from this wild berry–flavored red. A small percentage of organically farmed Syrah adds a note of tarry depth. Vinos Sin Ley, founded by a group of mostly young winemakers from throughout Spain, focuses on affordable varietal wines. Its Monastrell bottling, from the little-known Bullas region, has firm tannins and lush blackberry fruit. The warm Spanish region of Yecla has experienced a renaissance thanks to people like Ramón Castaño Santa, founder of Castaño. Today his son Daniel runs the show, producing wines like this powerful, smoky red. Luscious and intense, Beryna is winemaker Joaquin Galvez’s most affordable red wine, yet it carries a tremendous amount of potent blackberry flavor. Small percentages of Cabernet Sauvignon and Syrah add backbone and spice notes.